Jamie Bolding is the Founder & CEO of Jungle Creations, a media, marketing and commerce business for the social age, specialising in creating video content that is distributed to its online community of over 105 million followers. The company’s in house creative agency produces campaigns for clients including Baileys, Greenpeace, Sky and Virgin, and for two years running Jungle Creations has generated the most Facebook video views for brands of any other UK publisher. Jamie founded the business in 2014 at the age of 23 and has since grown the company to over 140 employees across four offices in London, New York, LA and Toronto. 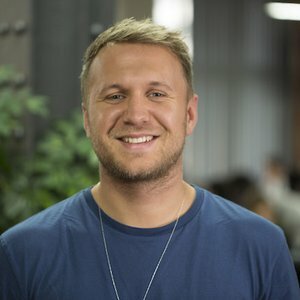 In 2018 Jamie was featured as the top Media and Marketing honouree in Forbes 30 Under 30 Europe whilst Jungle Creations has won a variety of prestigious awards including ‘Most Innovative Video Partner’ (Digiday), ‘Branded Content Team of the Year’ (The Drum) and a Cannes Lion for its campaign for Yoti.